Aller-7 is a proprietary herbal blend combined with other nutrients to support normal respiratory function in the presence of airborned allergies, dust, pollen, etc. It promotes clear airway passages and helps stabilize mast cells. It also neutralizes free radicals which can damage the body’s respiratory and immune systems. This product is vegetarian, and free of corn, wheat, soy, yeast, added sugars, starches, synthetic dyes, artificial flavorings and preservatives unless otherwise stated. 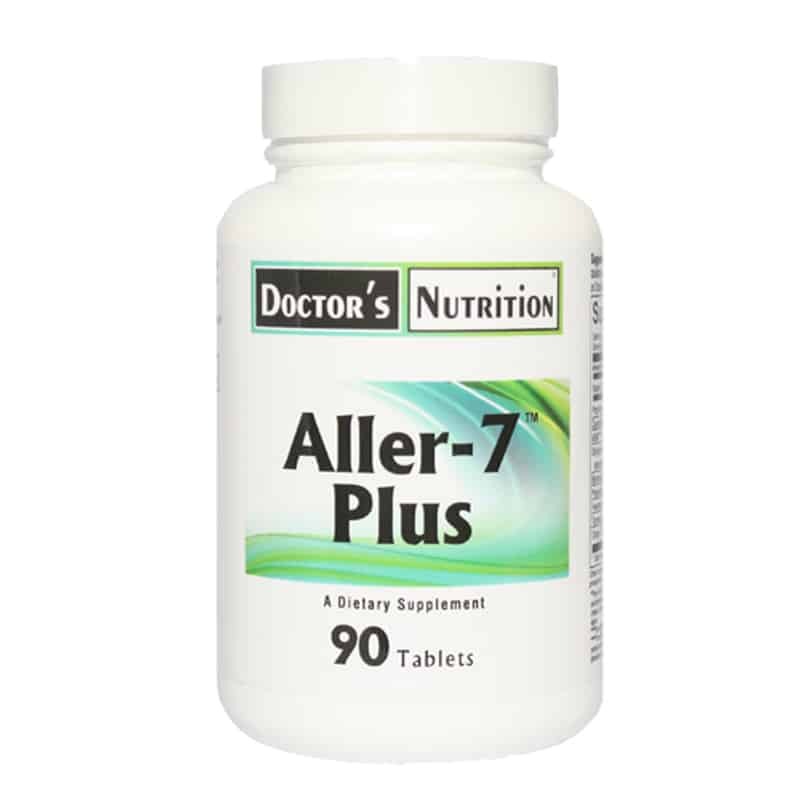 Suggested Use: As a dietary supplement, adults take 3 tablets 2 times daily in the presence of airborne allergens or 3 tablets daily year round. Vitamin C (as acorbic Acid): 100 mg. Proprietary Berry Blend****: 25 mg.
Ginger (Zingiber officinale) rhizome: 35 mg.
* * Daily Value not established. Other ingredients: May contain one or more of the following: dicalcium phosphate, cellulose, silica, magnesium stearate.